Upon return from Paris, Sasakura Ryu spends some time wandering amiss, but after some time he decides to start anew by becoming a bartender. On a daily basis as a bartender, he helps solve the various problems burdening his customers, including work and love and family troubles, one cocktail at a time. 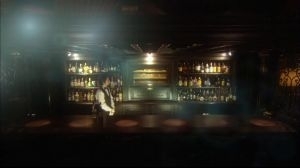 Furthermore, what will happen to the romantic relationship between Ryu, who seeks the best cocktail, and Kurushima Miwa, who is pertinent to his growth as a person. Also in the drama you'll see the fateful showdown between Kuzuhara Ryuichi, referred to as Mr. Perfect, and Master Kase Goro.